Manufactured in Pays-Bas from 1950 until after 1951. 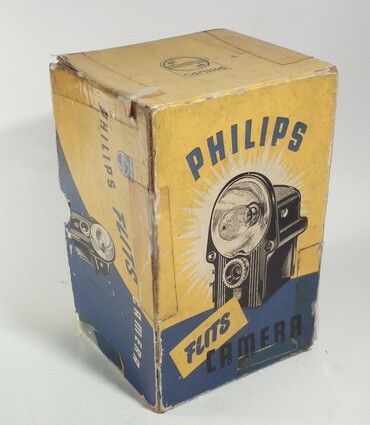 The Philips Box Flash was the unique camera produced by the famous Dutch firm. This company was mastering the process of manufacturing bakelite objects due to its experience gained in making radio receptors. 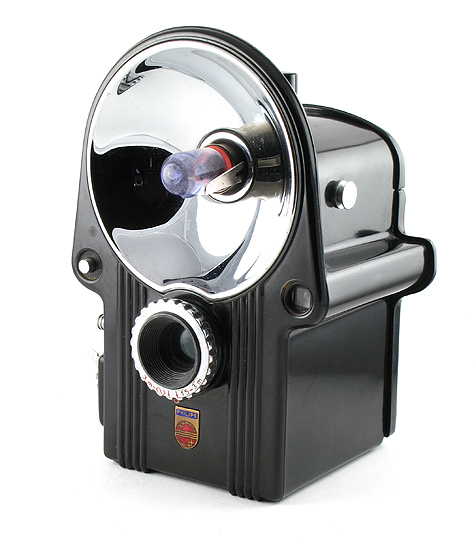 The form of the camera is similar to the Spartus Press Flash one. The lens is treated. The shutter has only one speed (1/25 sec) and an aperture of 11.